Join the Devils River Conservancy in protecting the unique natural and scenic treasures that Val Verde County offers all Texans. 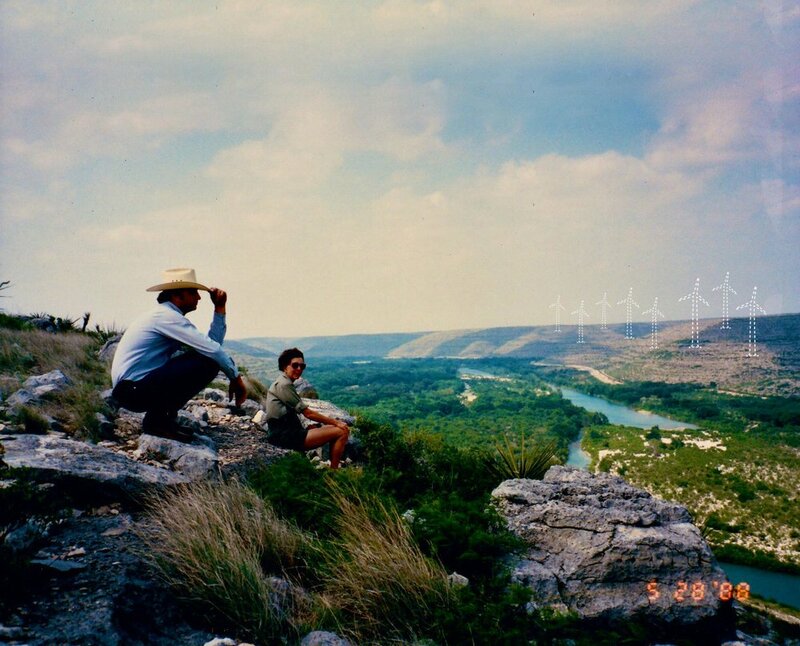 Don’t Blow It demands thoughtful regulation of wind energy development to save one of the last wild areas in our state for future generations. While we fully support renewable energy, "Don’t Blow It" by placing wind energy solutions in the wrong place. Let’s keep our natural parkland skies and horizons clear for everyone to enjoy. NATURAL PARKLAND OR INDUSTRIAL PARKLAND? 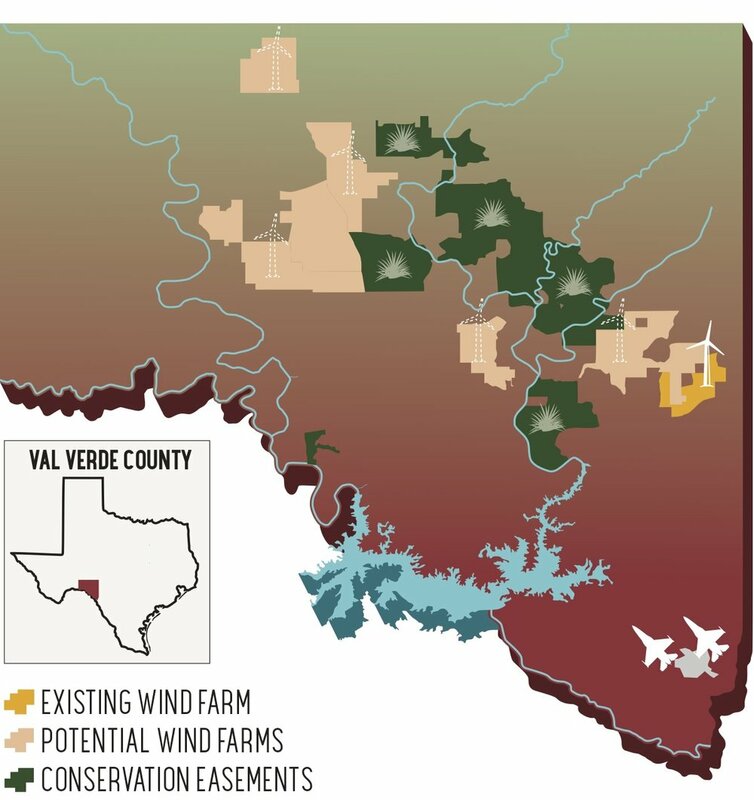 a wind farm will have many catastrophic impacts on the region. Encroaches upon the most pristine river in the state, the Devils River, as well as the Pecos and Rio Grande. Pollutes night skies with pulsing red lights. Disturbs the habitats of native endangered animal species and obstructs the migration paths of golden and bald eagles, monarch butterflies, Mexican free-tailed bats and other wildlife. Detracts from the experience in viewing the area’s 4,000-year-old pictographs and rock art murals in over 300 rock shelters. Degrades the spiritual aspects of this country side and the frontier legacy character of this region. 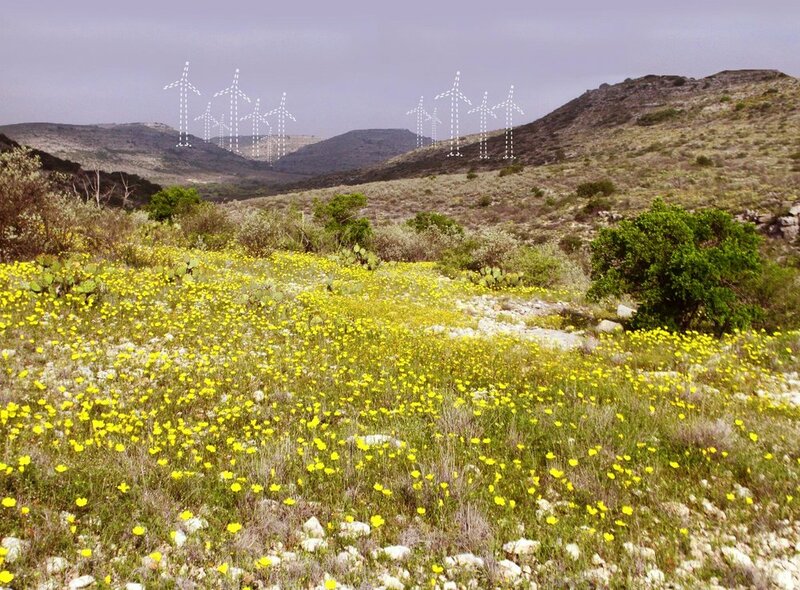 Diminishes the natural beauty of public lands including Lake Amistad National Recreation Area, Devils River State Natural Areas, and Seminole Canyon State Park & Historical Site. Jeopardizes Laughlin Air Force Base, home to the largest training program in the U.S., graduating hundreds of pilots each year. Heavily supported by government subsidies, paid by U.S. taxpayer dollars. Wind farms are not economically sustainable without these subsidies. Poses a direct threat to recreation, ecotourism and property values. Spoils one of West Texas’ greatest tourist attractions. More than 1 million people visit state and federal parks in Val Verde County each year to enjoy nature-dependent activities including hunting, fishing, paddling and bird watching. Enriches absentee landowners like the Xinjiang Guanghui Industry Investment Group who have no local stake in the region’s wellbeing. Compromises the Department of Homeland Security’s ability to secure our nation’s borders. Laughlin employs 24% of the Del Rio labor force and is responsible for a local economic impact of $243 million, according to the Del Rio Chamber of Commerce. Make your voice heard! Spread the word to get more Texans involved.